The first teaser trailer for Black Panther was released overnight and it was the first thing I watched this morning. I LOVED IT! It’s a teaser so you don’t get it explicitly explained who each of the many characters you see snapshots of are or what the conflict in this film will be but that’s more than fine. I love seeing so many awesome women fighting, Michael B. Jordan looks cool and kind of hot and scary at the same time and Chadwick Boseman as T’Challa still looks super regal and amazing. I love the conversation at the start of the trailer between Klaw (Andy Serkis) and Everett Ross (Martin Freeman), how Klaw says that Wakanda is this all powerful and advanced country and the front they put out to the rest of the world is exactly that, a front. 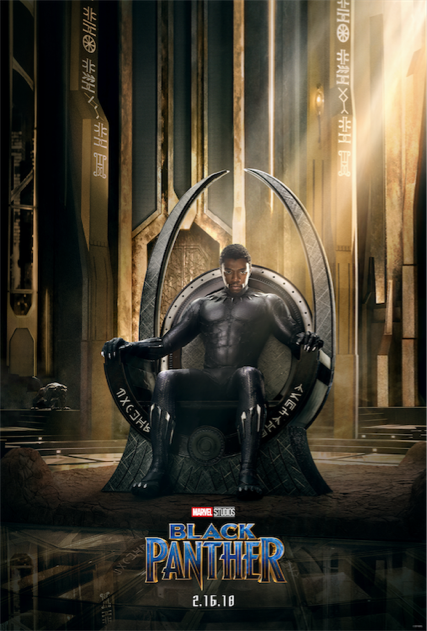 It’s great world building of this fictional country, a country which should (and by the look of this teaser I think it does) be just as much a character to the story of T’Challa and his people as any other character. Wakanda looks beautiful. It’s an African nation of the future, today. I love the mixture of technology and skyscrapers with the African landscape. It all looks amazing. This trailer is all about setting up the look and the feel of this movie and I couldn’t be more excited. All the characters with their costumes and weapons look amazing, everything is so bright and colourful and when there is a quick shot of a fight scene featuring Black Panther it’s exciting. The final shot of T’Challa jumping from one flipping car to another was kind of jaw-dropping. I like the voiceover talking to (I presume) T’Challa, saying how he is a good person but it’s hard for a good person to be a King. I really hope the film explores the political difficulties of a country’s King being its superhero protector, and this line makes me think it will. T’Challa is such a different character compared to the other heroes in the MCU (and in superhero movies in general), he won the mantel of Black Panther and is a king, he isn’t an average guy who got his abilities in an accident like so many of the other heroes we see. Yes, Thor is a prince but he does not have the same level of responsibility that T’Challa has. I love the feel of this film and everyone involved. The director is brilliant, the entire cast are great in just about everything they’ve ever been in and I’m so excited to see this new chapter of the MCU. I feel like Black Panther along with Thor: Ragnarok are going to bring something unique and vibrant to the MCU and I’m so looking forward to it. Black Panther has been my most anticipated superhero film ever since it was announced a few years ago. Seeing Boseman as T’Challa in Captain America: Civil War made me even more excited because he brought the regal gravitas as well as a bit of impulsiveness to the role. Black Panther has been one of my favourite superhero characters ever since I watched the Avengers: Earth’s Mightiest Heroes cartoon (great series, definitely recommend it) and I can’t wait to see him leading his own film. Only eight months to wait! 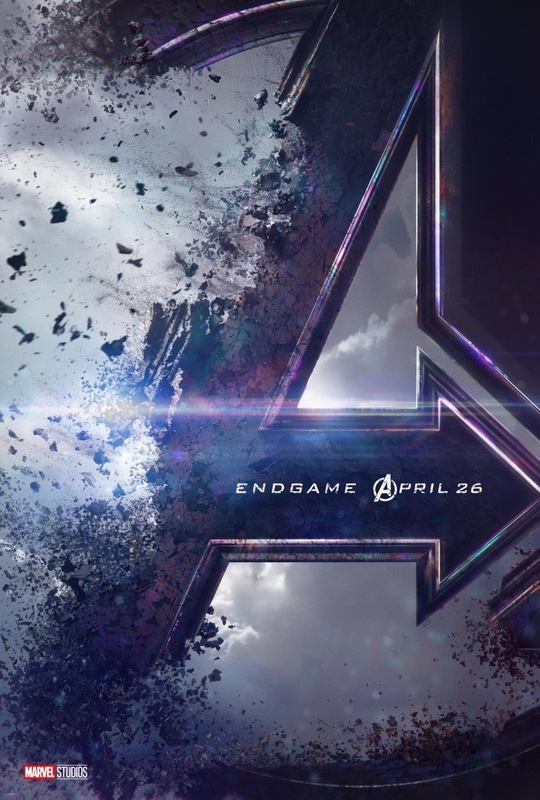 It has been literally years since I’ve done a trailer reaction post on my blog – probably that’s because I’ve been busy or because there’s not been much more I wanted to say about a trailer that wouldn’t fit in a couple of tweets. 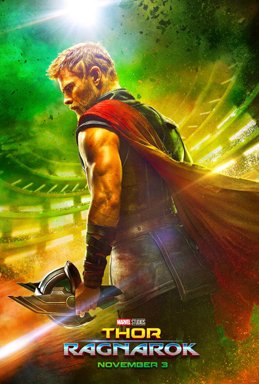 Then today the first Thor: Ragnarok trailer was released and it is the single best trailer I’ve seen in ages. I love the music choice (I’m not a huge Led Zeppelin fan but I do love Immigrant Song) and while some might say it’s trying to be like Guardians of the Galaxy, I don’t feel that way. Yeah, the trailer has got a great song and some jokes in it but it’s got a different sort of feel to it compare to Guardians of the Galaxy, Thor: Ragnarok is still its own thing. Or at least that’s what I took from it. I love how colourful everything is in this and the character designs – just wow! Cate Blanchett as Hela looks amazing and a suitably scary and formidable villain while Tessa Thompson looks like a badass and I can’t wait to learn more about her character. Then there’s Heimdall who always looks cool and Loki makes an appearance as well. I’m intrigued to see whose side he’s on and if he’s really been pretending to be Odin for however long. One of my favourite things about Loki is that he can be a bit of a wild card, those are my favourite type of characters and I do love his relationship with Thor. Of course, I can’t forget to mention the main man himself – I’m loving Thor and he’s short hair! Ever since I saw the new Ghostbusters film, I’ve been waiting for Chris Hemsworth to do more comedy but I never thought it’s be in a Thor film. Yes, he’s had funny lines as Thor in previous MCU films but this whole film feels like another level. Thor’s reaction to seeing the Hulk and the “We know each other, he’s a friend from work!” line is brilliant and Hemsworth’s delivery is just perfection. I know I shouldn’t really be surprised by the colours, costume design and style of humour Thor: Ragnarok seems to be going for when Taika Waititi is directing it. He’s the man behind films like What We Do in the Shadows, which I liked, and Hunt for the Wilderpeople which I absolutely adored. I can’t wait to see what Thor: Ragnarok ends up being like and after that trailer it’s now my most anticipated MCU film of the year. It’s been ages since I’ve done a trailer reaction – probably since the last Marvel trailer came out to be honest – but when I watched the first Civil War trailer, it got me so excited for the film that I had to just word vomit my thoughts. I shall preface this by saying when it was first announced that the next Captain America film would be about Civil War I wasn’t that happy/a bit apprehensive because I’ve read the comic of Civil War and that as much more far-reaching than a Marvel Cinematic Universe film could be because it has all the superheroes, not just the ones that Marvel/Disney own. Also the shift to Tony Stark siding with the government after all his mistrust of SHIELD and authority in general seemed a bit strange to me plus I didn’t necessarily want Iron Man taking over a film that’s supposed to be Captain America’s. But! After watching the first trailer I have to say pretty much all my fears have been put to rest and I’m now loving the look of this film and I can’t wait till May. 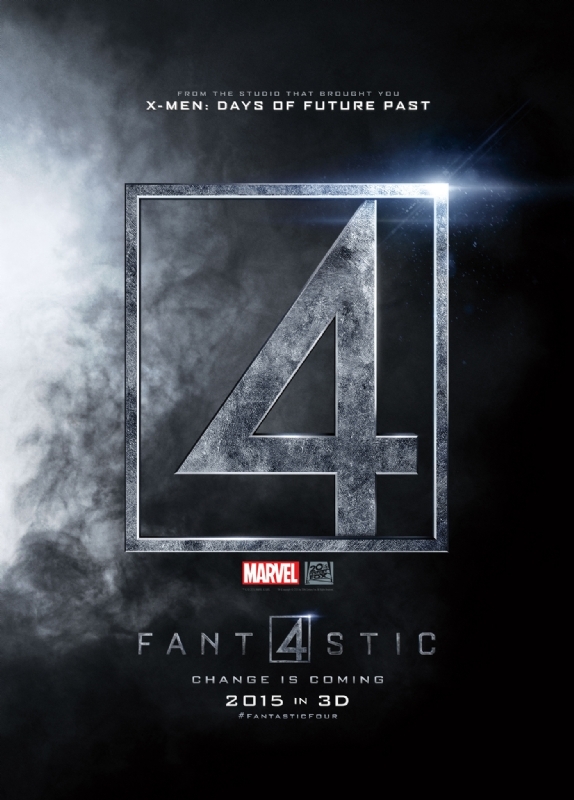 The first teaser trailer for The Fantastic Four has been released and it certainly teases. There’s been many rumours about the state of the films production and this has mainly come about due to the high-level of secrecy around the film. There’s been no official images until this week and the cast and crew hadn’t said much either. To keep a big-budget superhero film this quiet is quite an achievement and something to be admired in today’s internet and social media age. I’ll admit, I was one of those people who were a bit hesitant about The Fantastic Four because we were getting no information and what we were getting sounded a bit odd – like Dr Doom being a blogger. But I really liked this trailer. It walks the fine line of dark and gritty without being too serious, it has emotive beats, and some cool shots of the action. Most of all it feels atmospheric, especially with the voiceover which I think must be by Reg E. Cathey. This teaser trailer reminded me a lot of the first few Interstellar trailers – especially with the voiceover talking about human nature and our future. Yes, some people may have wanted more big set pieces but this does the right amount of teasing in my opinion. It is going to be very different to the previous Fantastic Four films (I kinda still like them even though everyone says they’re terrible) but that’s a good way to make this reboot stand out. I was indifferent towards The Fantastic Four before this trailer. Even though I like the cast – Jamie Bell and Michael B. Jordan especially – and I liked Chronicle which was made by the same director, I just wasn’t sure what to expect so had no expectations. Now I am tentatively looking forward to this film. We shall see how it turns out when it’s released in August. The first proper teaser trailer for Marvel’s Ant-Man has been released and it’s all a bit bland really isn’t it? Now I won’t lie, I’m a bit apathetic towards the Ant-Man movie as a whole for a while now for a few reasons. 1. I don’t like Hank Pym as a character – he is an abusive idiot and he’s the one that creates Ultron and that mess so I’m annoyed that in the Marvel Cinematic Universe the blame for that’s going on Tony Stark (he has enough stupid mistakes of his own). 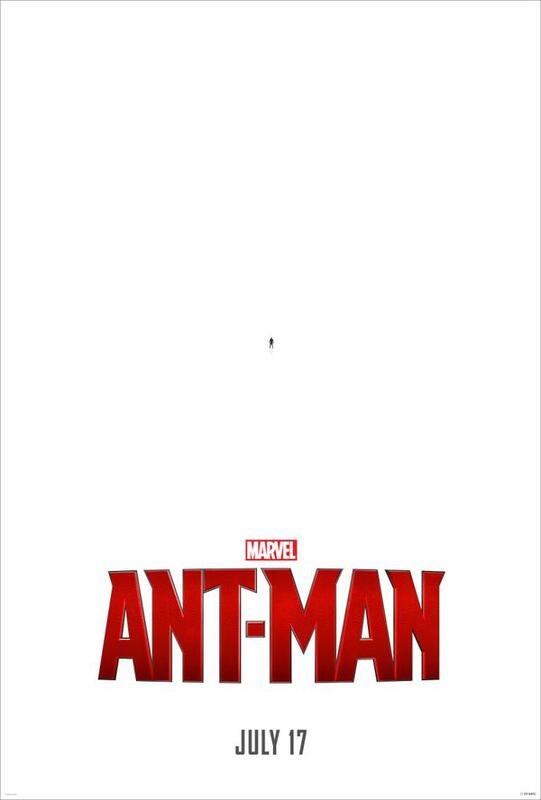 But when I heard that the focus was going to be more on Scott Lang as Ant-Man I was like OK, I can get behind that. 2. One of the main/only things I was looking forward to about Ant-Man was that it meant that’d we’d get Janet Van Dyne aka Wasp. Janet is an awesome character and superhero, one of the founding members of the Avengers and is another female superhero to add to the franchise! But wait, then there was the news that she’d be killed off in the film just as its getting started. I was seriously not impressed. 3. The whole production nightmare the film has seemed to have gone through – any film that has a director dropping out after working on the film for so long is bound to cause problems. It’s not an encouraging thought. But let’s forget about that and focus on the trailer. I thought the promo stuff for Ant-Man has been pretty cool so far with the “ant-sized” teaser trailer and the minimalist poster, but now it was time to see some footage. The synopsis of Ant-Man makes it sound like a heist movie (and I love heist movies a ridiculous amount) but by watching the trailer you don’t really get that vibe at all. It doesn’t seem to know what sort of tone it’s going for. It’s super serious with Hank Pym’s (Michael Douglas) voice over explaining why Scott Lang (Paul Rudd) is special and how he must take up the mantle of Ant-Man but then there’s a couple of jokes thrown in that really don’t fit and fall flat. The trailer also doesn’t give much information as to what the power of Ant-Man is (my mum watched the trailer and finished it being none the wiser as to who the character really is) and there’s no sign of the major villain. I liked the glimpses of Hope Van Dyne (Evangeline Lilly) being a badass and I am intrigued about her (maybe she’ll be Wasp? Can you tell how much I want Wasp in this stupid movie?!) I also liked the very brief appearance of Michael Pena because I like him and didn’t know he was going to be in Ant-Man. I get it’s a teaser trailer, but a teaser is supposed to interest you and leave you wanting more and I didn’t get that feeling from Ant-Man at all. That being said, Marvel hasn’t really let the fans or general movie-going audiences down yet so have a bit of hope for Ant-Man and I’m ready and willing for Marvel to change my mind about a character I so far don’t really like. We shall see what happens when Ant-Man’s released in July. Unless you are living under a rock you will have heard that the first trailer for Star Wars: The Force Awakens has been released today. Twitter’s gone mad, there’s trailer breakdowns (for all 88 seconds of it) and it’s probably going to be one of the most watched trailers of the year. After watching the trailer I felt compelled to talk about it even though I’m not a die-hard Star Wars fan. I didn’t grow up watching Star Wars like many people who were born in the nineties – I grew up watching films like Ghost and Robocop. It was an odd childhood film-wise to be honest. I didn’t watch the original Star Wars trilogy until two of my friends from University made me marathon them with them – I was twenty. I really did find them enjoyable. Obviously a lot of the big plot twists I knew because of the osmosis of the internet and general pop culture but I liked the characters a lot. Han Solo is my favourite type of character, a chancer with a good heart and good looks, Leia is pretty damn awesome and I liked Luke’s character arc. I also loved Lando and am continuing to keep my fingers crossed that Billy Dee Williams will make an appearance in The Force Awakens. I didn’t get round to watching the prequel trilogy until I was 22 – I actually watched them on this year’s Star Wars Day (May 4th). Again I’d heard they were terrible and while I’ll admit they are not amazing films, there were some bits I liked and I didn’t feel as betrayed by them or as strongly about them because Star Wars wasn’t a huge love of mine. So now we’ve got the new trilogy on its way. I tweeted a lot about the casting news because I was stoked about John Boyega getting the lead role (check him out in Attack the Block and Half of a Yellow Sun if you haven’t already) and also because Lupita Nyong’o, Andy Serkis and Domhnall Gleeson were cast and I like all of them too. Today was trailer day. I’m sure it was because I was in a film PR office but there was such a huge buzz of excitement when the trailer appeared online that I couldn’t help getting swept up in it all even though I don’t really have an invested interest in the franchise. So now onto my actual thoughts on the trailer. It’s a teaser trailer so you get no plot (which I kind of love) and just some amazing shots of the new cast. I loved the fact that John Boyega was the first character you see and the other characters you see are also the new cast – Daisy Ridley and Oscar Isaac. That being said a lot of the shots and technology on show feel older and like the original trilogy. The only shot that felt JJ Abrams-esque (ie shiny and lens-flare-y) was the one of the Stormtroopers, everything else felt gritty and lived in. The final shot with the Millennium Falcon and that music blaring out gave me goosebumps and I’m not even a huge fan of the franchise – it’s such iconic music that I couldn’t help but smile to myself. The whole thing felt new and exciting but at the same time it feels like it has respect and nostalgia for the original films – which is a great balance to have when you’re rebooting or continuing a much loved franchise. I’m surprised at how excited I got about the trailer launch, but I’m all for John Boyega leading a big movie and Harrison Ford stepping back into Han Solo’s shoes. It felt like proper teaser trailer and some other film makers could definitely take note of JJ Abram’s super secretive-ness. I look forward to seeing more footage of Star Wars: The Force Awakens and I am sure I’ll be going to see it opening weekend next December.